Sandmeyer Steel Company stocks a large inventory of 17-4PH stainless steel plate in the annealed condition in thicknesses from 3/16" through 3", ready to be processed and shipped to your specific requirements. Alloy 17-4PH is a precipitation hardening martensitic stainless steel with Cu and Nb/Cb additions. The grade combines high strength, hardness (up to 572°F /300°C), and corrosion resistance. Mechanical properties can be optimized with heat treatment. Very high yield strength up to 1100-1300 MPa (160-190 ksi) can be achieved. The alloy is furnished in the solution annealed condition (Condition A). It should not be used at temperatures above 572°F (300°C) or for cryogenic service. Optimal mechanical properties can be obtained by subjecting the alloy to age hardening heat treatments. Heat treatment in the 900°F (482°C) range produces the highest strength. The corrosion resistance of Alloy 17-4PH is comparable to 304 stainless steel in most environments, and is generally superior to the 400 series stainless steels. It is used in applications where the combination of moderate corrosion resistance and unusually high strength are required. Alloy 17-4PH can be easily welded and processed by standard shop fabrication practices. It is magnetic. Oil and Gas Production — foils, helicopter deck platforms, etc. The corrosion resistance of Alloy 17-4PH is comparable to 304 stainless steel in most environments, and is generally superior to the 400 series stainless steels. It is used in applications where the combination of moderate corrosion resistance and unusually high strength are required. Alloy 17-4PH has corrosion resistance comparable to 304L in some chemical, dairy, food, paper and petroleum applications. Alloy 17-4PH in the solution-annealed condition (Condition A) should not generally be put in service. The alloy is subject to brittle fractures and more sensitive to chloride stress corrosion cracking than the aged material. If risks of chloride stress corrosion cracking are present the higher aging temperatures should be selected over 1022°F (550°C), preferably 1094°F (590°C). 1022°F (550°C) is the recommended tempering temperature in chloride service. 1094°F (590°C) is preferred in H2S media. Alloy 17-4PH is subject to crevice corrosion and pitting attack when exposed to stagnant seawater for a duration of time. Carbon 0.07 Nobium plus Tantalum 0.15 min.-0.45 max. Alloy 17-4PH is provided in the solution-annealed condition (Condition A). Mechanical properties may be altered by subsequent age hardening treatments. These aging treatments are referred to as Conditions H900, H1025, H1075, H1150, H1150M and H1150D. The processes are outlined in Table 2 below. The resultant mechanical properties appear above in Table 1. Alloy 17-4PH has limited cold forming properties. 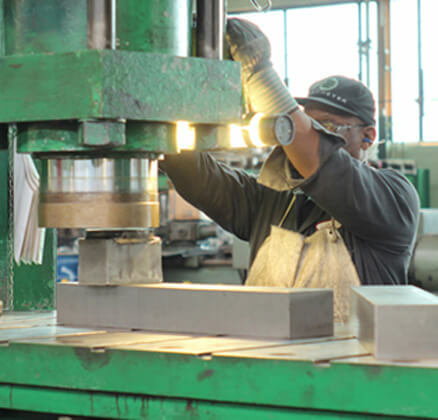 Cold forming can only be undertaken on plates in the fully annealed condition. Stress corrosion resistance is enhanced by re-aging at the precipitation hardening temperature after cold working. Heat uniformly at 1742 – 2192°F (950 – 1200°C). A full solution anneal, cooling lower than 76°F (25°C) and aging at the required temperature must occur after hot forming. The post forming heat treatment should be a function of the desired mechanical properties. Alloy 17-4PH can be machined in both the solution treated and precipitation hardened conditions. Machining characteristics may vary according to the hardness of the metal. High speed tools are acceptable, but carbide tools are preferred. Standard lubrication should be used. Dimensional changes as a result heat treatment should be taken into account if very stringent tolerances are required. Thermal cutting operations such as plasma cutting should be avoided. Mechanical cutting operations such as bandsaw, abrasive waterjet, shearing and machining are preferred. Alloy 17-4PH can be readily welded by most standard processes including SMAW, GTAW, PAW and GMAW. NOTE: The information and data in this product data sheet are accurate to the best of our knowledge and belief, but are intended for informational purposes only, and may be revised at any time without notice. Applications suggested for the materials are described only to help readers make their own evaluations and decisions, and are neither guarantees nor to be construed as express or implied warranties of suitability for these or other applications.